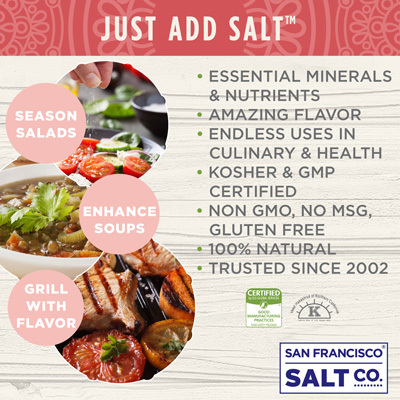 SEASON TO PERFECTION - Sherpa Pink® Himalayan Salt is wonderful for seasoning meats, grilled vegetables, a variety of salads (such as pasta, egg or potato salads), soups & stews and is also a flavorful salt to use for baking. 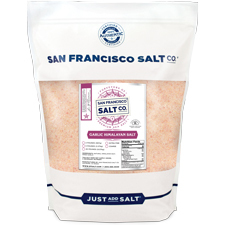 AN ESSENTIAL INGREDIENT FOR PROFESSIONAL & HOME CHEFS ALIKE - Himalayan Salt is excellent for making Salt Rubs & Brine Solutions for meat and makes a great base for creating your own seasonings/flavored salts by adding your own herbs. PACKAGING - 5 oz. Stackable container. STACKABLE DIMENSIONS - 2 1/2" diameter, 2 3/16" tall. 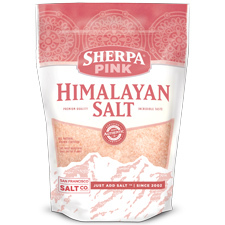 PROPERTIES - Our 100% natural Sherpa Pink® Himalayan Salt is Kosher Certified, Non-GMO, and does not contain any MSG, Soy, Gluten, Dairy, anti-caking agents, artificial colors, or additives. 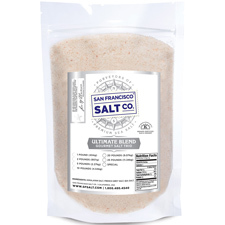 MINERAL RICH ALTERNATIVE TO ORDINARY "TABLE SALT" - Use this salt anywhere that you would normally use standard table salt. 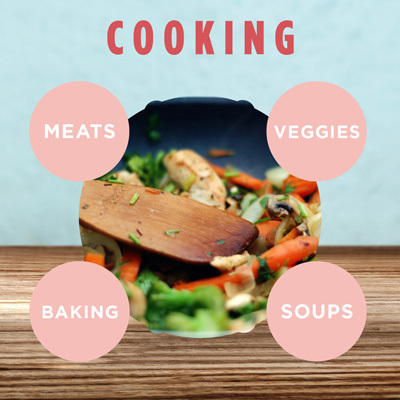 Enhances the flavor of everything from meat, veggies, and soups to baked goods and desserts. FINE GRAIN FOR ARRAY OF CULINARY USES - Use wherever a grain slightly larger than a typical "table salt" grain is preferred. 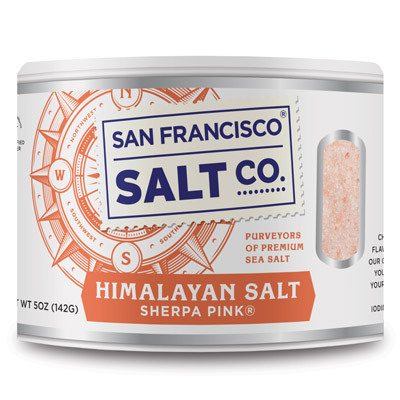 PERFECT FOR BRINING -​​ Add unbelievable moisture and tenderness to poultry, meat, and seafood by first brining with Sherpa Pink® Himalayan Salt! 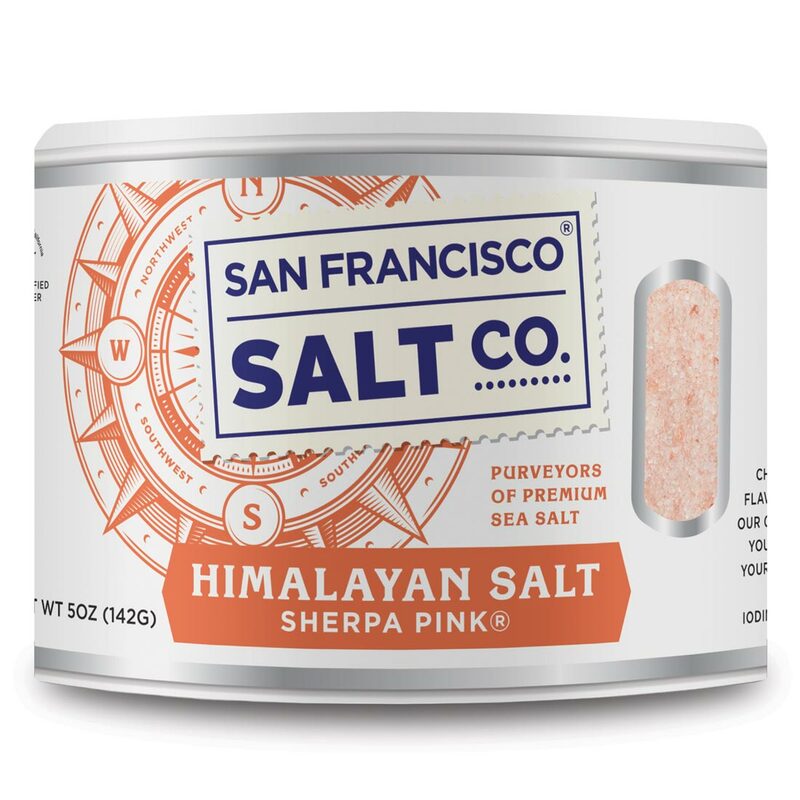 GREAT FOR SALT RUBS - Massaging Sherpa Pink® into meat before cooking helps to make sure that meat retains moisture while cooking, while also adding rich flavor. 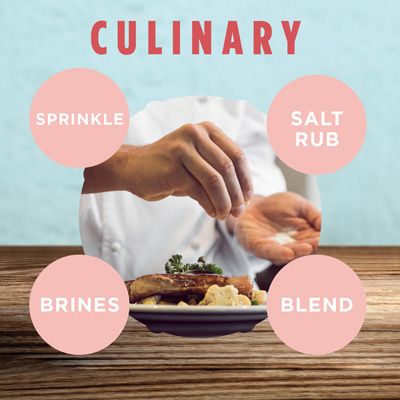 MAKE YOUR OWN BLENDS - Blend herbs and spices with Sherpa Pink® to create your own signature seasonings and take poultry, red meat, and seafood to the next level. 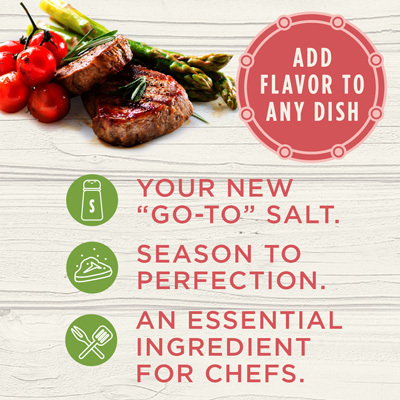 MEATS - Enhances the taste of meat without overpowering its natural flavor. VEGETABLES - Elevate the flavor of veggies whether they be grilled, baked, or raw. BAKING - Sherpa Pink® works beautifully in doughs, breads, cookies and more. DESSERTS - Finish chocolates & caramels with Sherpa Pink® Himalayan Salt for the ultimate blend of sweet and salty.